Pesach is the time when families come together to celebrate the origins of our great nation. It combines intense emotions with rigorous intellectual and spiritual experiences, comprising memories that serve as foundations for our throughout the year. 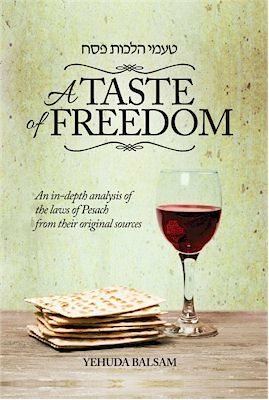 Even those familiar with how Pesach is observed may have difficulty differentiating between a recently developed practice and a Torah law. If one wishes to truly understand halachah, one must delve into the original sources and see the development of the law from the chumash, through the gemara, Rishonim, Shulchan Aruch and its commentaries, concluding with modern-day Poskim. The goal of this work is to present the complex laws of Pesach in a manner that fosters increased understanding and appreciation of their breadth, depth, and meaning. Please look inside for a full table of content.